Whilst doing research in September in Hong Kong and Guangdong, I had the good fortune to visit the Guangzhou Academy of Fine Arts (GAFA), an institution of 5000 emerging artists from which a good number of our students come. Whilst there I met the Director of the GAFA Art Museum, Professor Hu Bin, who told me about his exciting new initiatives to develop research on modern artists in Guangdong and to grow a cultural management programme at GAFA. I also had a brief tour of this impressive museum with its ancient and modern exhibits. 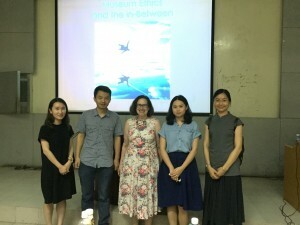 After a delicious dinner with local Guangzhou seafood, I gave a talk on museum ethics to some of the art students. For this event, my Hong Kong colleague Oscar Ho gave me a Chinese name, Mak Tse Tian (Tian means sweet but the whole thing sounds ever so slightly like Marstine if you say it fast)! 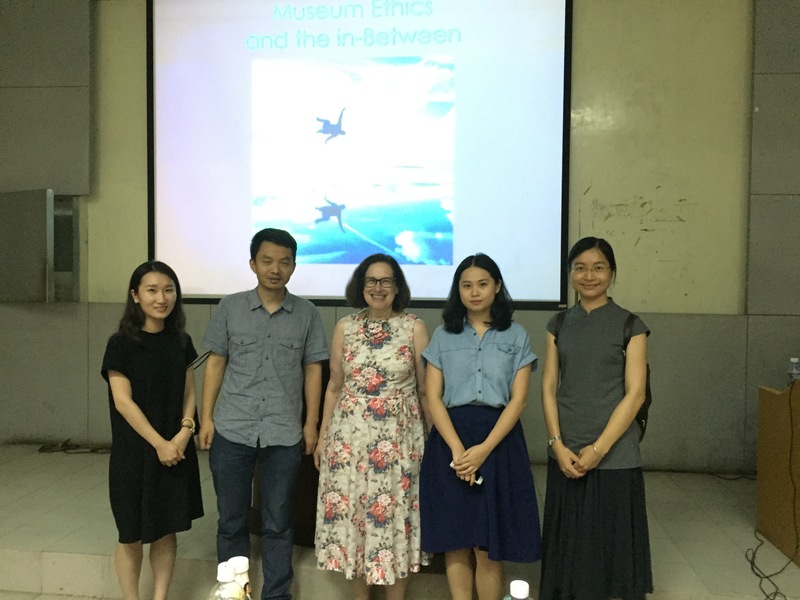 I really enjoyed discussing ethics issues with the students and they asked some great questions afterwards, particularly on ethics in visitor studies, an emerging area of research. Most importantly, a couple of Art Museum and Gallery Studies alums were able to attend and we had a joyful reunion. Qi Wen (who some students might remember as Winky) is an art history teacher and administrator at the College of Art and Design, Shenzhen University. 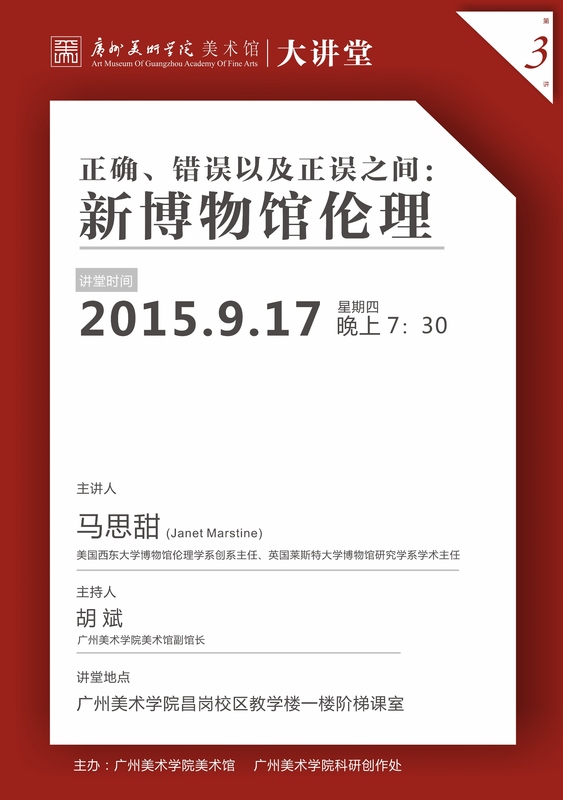 Tan Yue (also known as Tanya) is an asssistant curator at the Times Museum in Guangzhou. Both are doing well and very much enjoying their careers. We are so proud of Winky and Tanya and indeed all of our alums! We very much look forward to updates from you. Janet is the Academic Director for the School of Museum Studies.